​This 6 week class is all about you, Mama. Are you trying to stay true to yourself while also doing a great job as a mom AND making time for yourself to have fun and do the things, aside from motherhood, that bring you joy? THIS is your Village. ​ For one hour a week, you come first. Each week addresses topics that are relevant to you such as your new identity as a mother, labeling your own joy and needs as important, relationship changes, and what gets in the way of your own happiness. ​We will also offer ideas and exchange activities that help find more JOY or feel more JOY in your lives. Babies are welcome to come with mama, but this group is about you. This group is open for moms of children of all ages. Week 1: Introduction to coaching, ice breakers and intros of one another. Centering exercise and discussion of how the session format. It's all about you and guiding you through finding your own answers. Depending on how long this all takes we could jump in to a chat about why this type of work is important, and how coaching is different from teaching, providing therapy, or even mentoring. Week 2: Topic available will be changes that come with motherhood and preparing for them if attendees are pregnant, or starting to identify and work through some of them if you are a new mom. Focus will be on changes to mom's identity, changes to her interests and just operating from a different perspective. We will discuss the importance of giving themselves grace, taking time to care for themselves as possible and perhaps some values assessments, journaling activities or prompts around identity, self-care, not losing their true self, old and new interests, etc. Week 3: Topic available will be relationships. Depending on the needs of the group, the discussion will focus relationship with spouse or partner or relationship with family and friends, or all of the above. Talk will be focused on how these relationships all can change, how to avoid disappointment, resentment and how to work on conserving the relationships that really matter to you. We will bring up the concepts found in Dr. Gary Chapman's books The 5 Love Languages so you can start to talk with you partner about their love languages and how to make sure they express their love for one another in the way that each will most appreciate it. 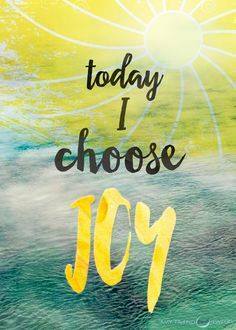 Week 4: Topic will be the obstacles to JOY. We will start with talking about the importance of harnessing JOY in our lives to strengthen our ability to feel happy. We will reference The Book of Joy (Dalai Lama and Archbishop Desmond Tutu) to talk about the obstacles to JOY that we may all face. This will likely result in a discussion of which of these obstacles the attendees are facing or have faced and how to work through them and prevent them from becoming a real problem. Week 5: Topic offered will be the 8 Pillars of JOY (from the same book referenced above, but incorporating coaching around how to incorporate these into your lives, etc.). We will also offer ideas and exchange activities that help find more JOY or feel more JOY in their lives. All topics will be interactive. Week 6: Topic will be chosen based on the needs of the group.